Database Systems and Information Management GroupWho is using Flink? ... this was always a question difficult to answer to interested users. But now a "Powered by Flink" wiki page is started. 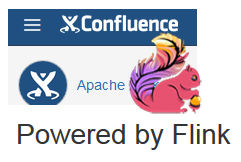 This page tracks various organizations, that are using Flink, as well as it lists software projects which integrate with Flink by using Flink as a frontend or backend. If you are interested in reading, where around the world, in which areas, and for which tasks this open source platform for distributed stream and batch data processing is used, please visit this wiki page.